This HTC’s latest smartphone shown that enjoys Android not always have to rely on top class devices. Typically, better known as the HTC smartphone products with a sophisticated upper middle segment. Actually, they also have a product to lower segment but unfortunately not very well known. For the middle and lower segments (entry level), HTC has some products that are not less interesting. One is the Explorer. As an entry-level smartphone, HTC Explorer comes with look that did not disappoint. With a rear body a kind of mixture rubber and metal, Explorer seems tough, as its name a nuanced adventure. But do not wrong. Although it looks look tough, Explorer was not designed as a smartphone which able to deal with various physical disorders. 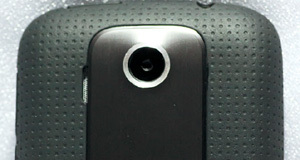 This is because behind the rubber layer and the “metal”, the body HTC Explorer remains fairly thick plastic though. HTC Explorer comes with a screen of 3.2 inches and have a resolution 320×480 pixels. Including better screen quality itself, especially considering its target segment. Then at bottom of the screen there are four softkeys buttons standards such as Home, Menu, Back and Search. While physical buttons on the side of smartphone such as power / sleep on the top side and volume on right side. Buttons are fairly easy to push while the rear body covered with coating rubber. Armed with Android Gingerbread 2.3.5, Explorer rely on SoC MSM7225A from Qualcomm. Different from previous MSM7225, this latest version has supported ARMv7 instruction. This chip and included in Snapdragon S1 line of processors aimed at entry-level smartphone. The advantage, by leveraging ARMv7 instruction, the Explorer was able to perform flash-based content. When we test it by visiting Youtube desktop version, Explorer smoothly play any existing video quality up to 480p. This is quite impressive considering the low speed of processor itself, including 600 Mhz. In terms of multimedia, HTC Explorer comes with a polishing feature which is sound SRS Enhancement and HTC 5.1 Surround. SRS Enhancement polishing sound with increasing level of certain frequencies such as bass and treble. While HTC 5.1 Surround simulates 5.1 sound effects when you using a earphone / headphone. HTC Explorer also comes with an FM radio which can be an alternative when you’re feeling bored with your own music collection. HTC Explorer is not an advanced smartphone with a top-class specifications. 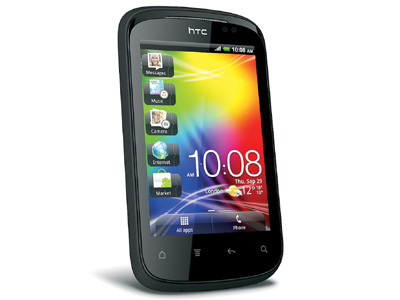 But for a newcomer to the world of Android smartphones in particular, HTC Explorer provides a pleasant experience. Armed with similar SoC, HTC Explorer looks far excellent as compared to Xperia X8. Revisions made ? ?by Qualcomm makes the performance of this SoC shot doubled compared early variants. The most significant improvement felt by graphics render unit that generates scores up to approximately 144% higher. 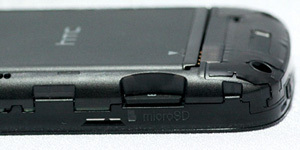 Although supported hotswap, microSD slot location is somewhat inconvenient because inside casing. Pressing the Power/Sleep requires extra energy. This caused rubber layer to protect it. Plus: good performance, support flash content. Minus: Quality camera is not good enough, a small internal memory. ON MY HTC EXPLORER FM RADIO WAS WORKING PROPERLY. BUT NOW IT’S NOT STARTING ONLY.